Hat Creek is one of the most famous streams in California. 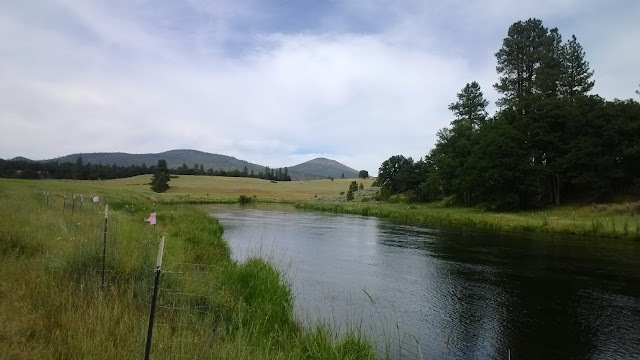 This spring creek was once renown for it's world-class fly fishing due to the creek's abundant aquatic plant growth, witty fish, and beautiful scenery. Hat Creek was a frequent bucket-list destination for many fly anglers around the country. During its prime in the 70s and 80s, anglers would visit the spring creek to test their fly fishing skills. Since it's decline in the 90s due to sediment problems, erosion, lost of aquatic plants, invasive plants, and muskrats, Hat Creek has since lost its popularity. The entire spring creek section of Hat Creek, stretch below Powerhouse #2 downstream where it eventually enters Lake Britton, is a special project that Caltrout continues to work on. 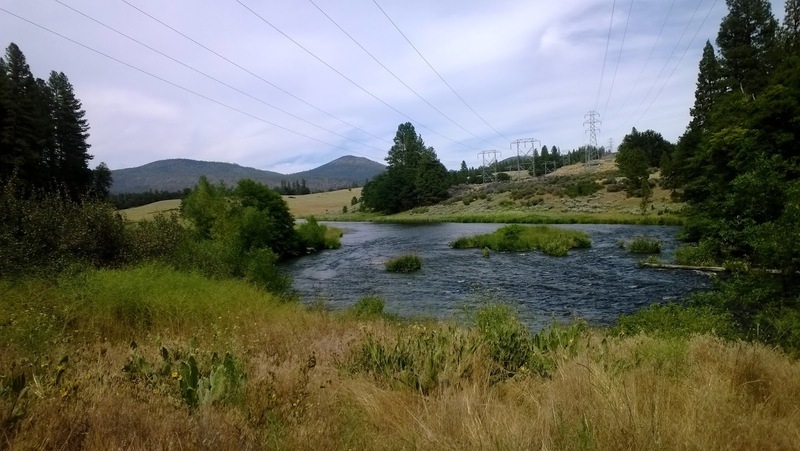 Caltrout has worked for over 40 years since the 1960s to build and maintain trout habitat on Hat Creek. This organization continues to keep the creek alive even in the worst of times. If it weren't for them, we wouldn't have a Hat to fish. Although just a mere fraction of how great it use to be, Caltrout is working to restore the creek back to the world-class fishery it once was. As a technical dry fly, stealthy, and perfect presentations stream it is definitely a tough place to fish. The fish that live in Hat Creek are said to have PhDs in fly pattern education and will spook if you get too close or fail to make the perfect presentation. After my first spring creek experience at Yellow Creek, it was time to put my skills to the test again. 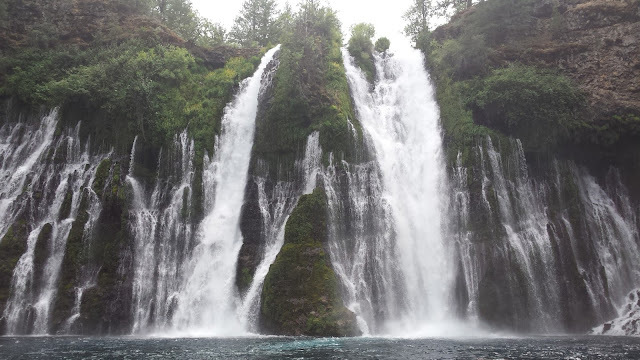 After a short lunch and visit to Burney Falls, Amanda and I drove to Hat Creek to finally see the most famous spring creek in California. Once we arrived at the creek I mumbled to myself, "This is it?" We had the entire creek to ourselves but there wasn't much there. The water was low and warm, the aquatic vegetation was sparse, the banks were riddled with yellow weeds, and scenery was lackluster. But looks can be deceiving. I started fishing the riffles below Powerhouse #2 because it was said to be the most productive stretch to fish. The fish there were more reluctant to eat a dry but they were mostly dinks. After about ten minutes I quit fishing the riffles, the two hour drive from Chico to Hat Creek wasn't to fish these riffles, it was to fish the legendary spring creek waters. During a stroll down the bank the water started to slow down and the flow began to look non-existent. There were smaller fish holding underneath the weed mats and bigger fish there as well. Being stealthy on Hat Creek is nearly impossible unless you get in the water. The tall grass lining the bank was difficult to navigate through and my fly line would get caught on the everything on the back-cast. So frustrating. The fish I saw looked around 12-16'' and were truly as smart as rumored. Several fish rose and bumped my fly to check it if was real. Never have I experienced such a refusal. Amazing. Most of the day was spent casting to fish I could see. A lot of the fish ignored my dry as it passed above them but I was able to get a few to rise. Sight-fishing can be easy in that you can see the fish take the fly, but it can be incredibly difficult to time your hook set if you get too excited. I got way too excited and set the hook too fast several times. No fish were landed during this visit. My 6WT rod wasn't the best choice to fish the creek. The fast action made my presentation too aggressive and I failed several times to make a good drift. The next time I visit I'm going to bring a slower action rod. Hat Creek is definitely on my list of streams that I will continue to visit.